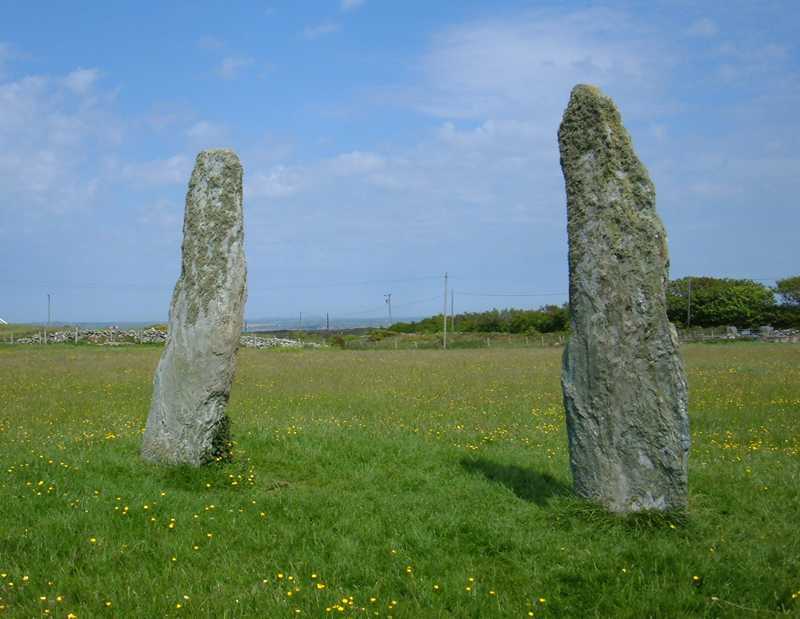 Penrhos Feilw Pair of Standing Stones on Anglesey - an ancient monument on the island of Anglesey. 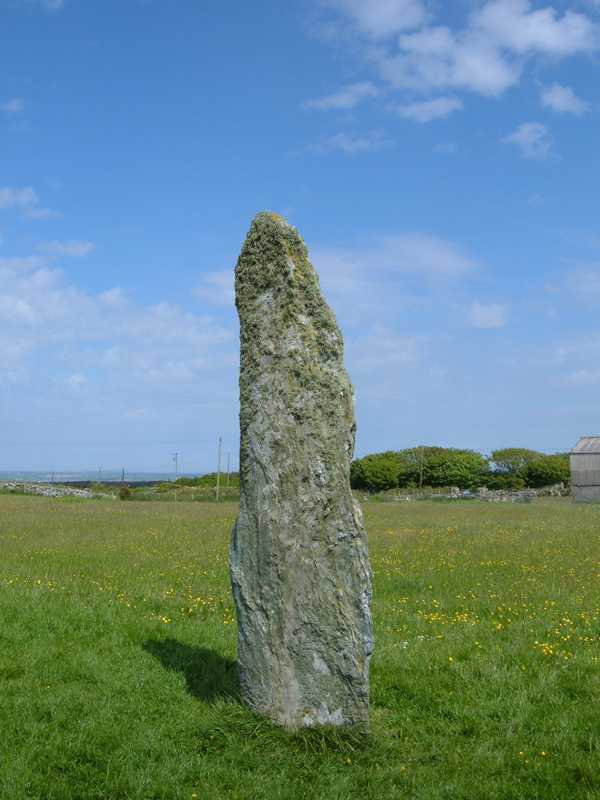 Penrhos Feilw Standing Stones - Holyhead SH 227809. 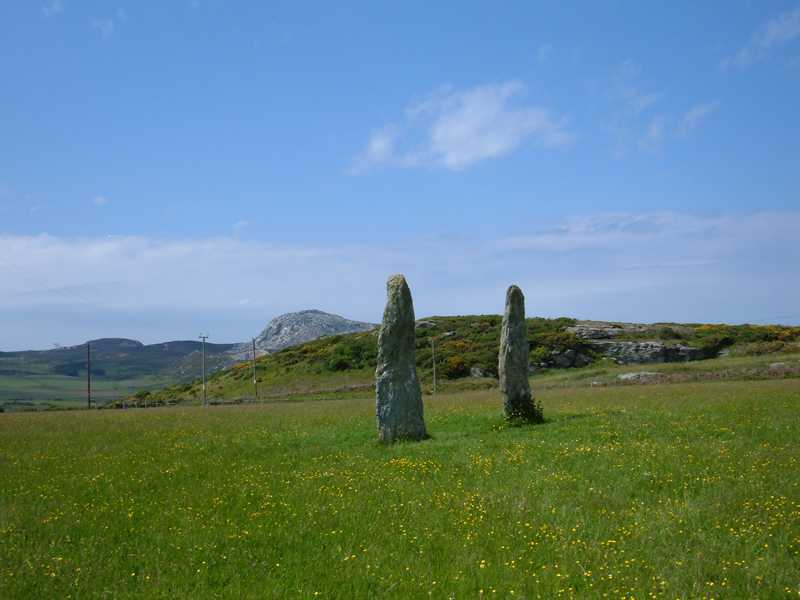 This site dates from the early Bronze age - 2000-1500 BC, and the pair of standing stones are quite enigmatic. They face Holyhead mountain, but also Snowdonia, which is probably their true focus. They stand about 11 foot tall, and the same distance apart. Located within a couple of hundred yards of `Plas Meilw` Settlement. 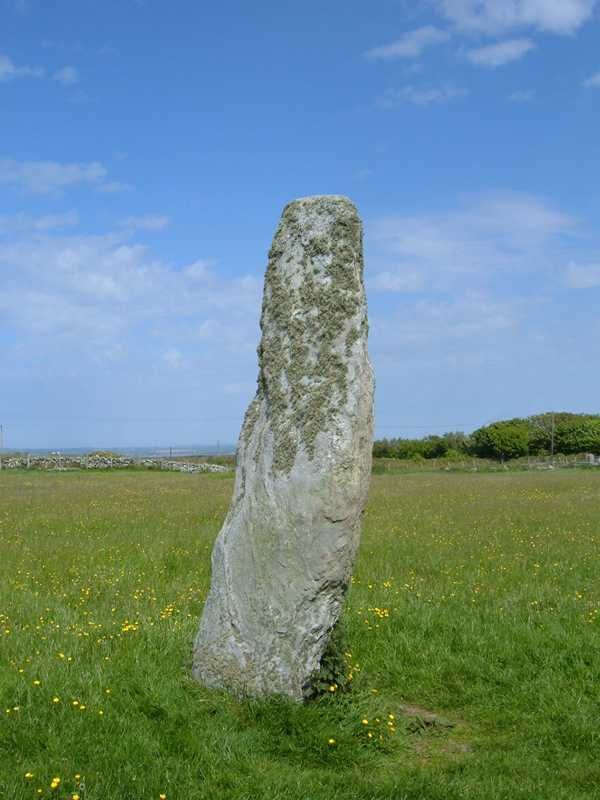 It is said that evidence of a cist burial containing arrow and spear heads were found between the stones, which may once have been the centre of a circle of stones, but in truth this site remains a mystery. 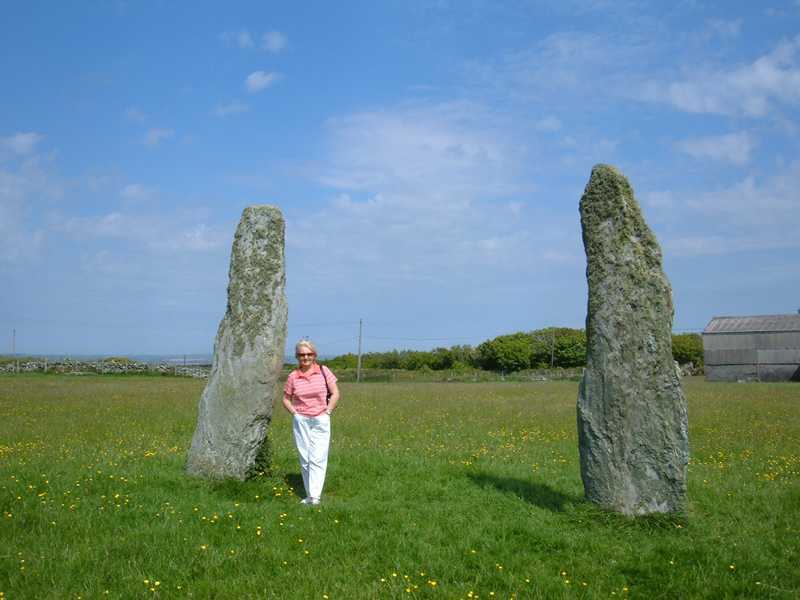 There are several standing stones in the area that may or not be original. It is certainly true to say that thousands of years ago this area was once the location of lots of activity.